My little man had nowhere to hang his hats, so our solution to the problem was to make him a hat rack! 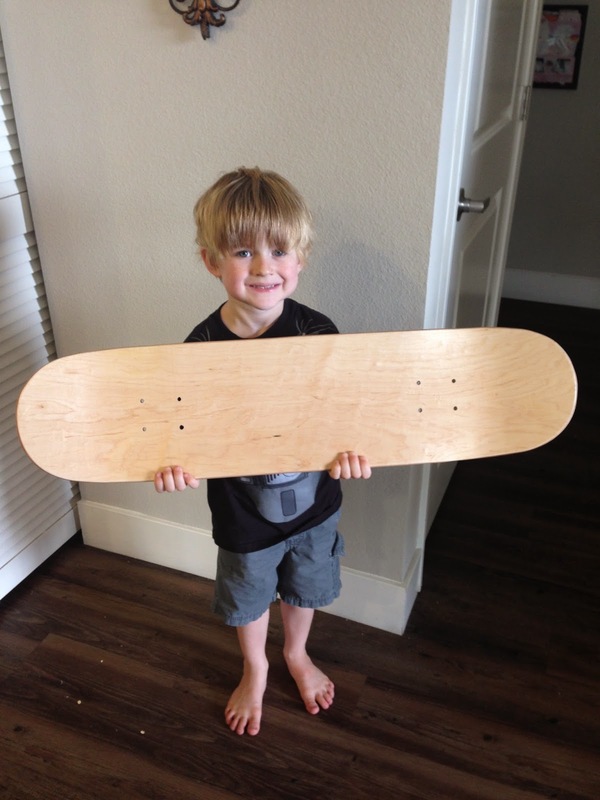 He's really into skateboarding right now so that led us to make a skateboard hat rack. I ordered a blank deck from Amazon (that way it was nice and clean) and we picked up some Volcom stickers, because what better way to deck it out then in his favorite brand! I screwed in some inexpensive hooks all along the bottom, screwed it straight into the wall through the predrilled holes and we were good to go! It took us about 15 minutes to make and he LOVES it, WIN WIN!! !